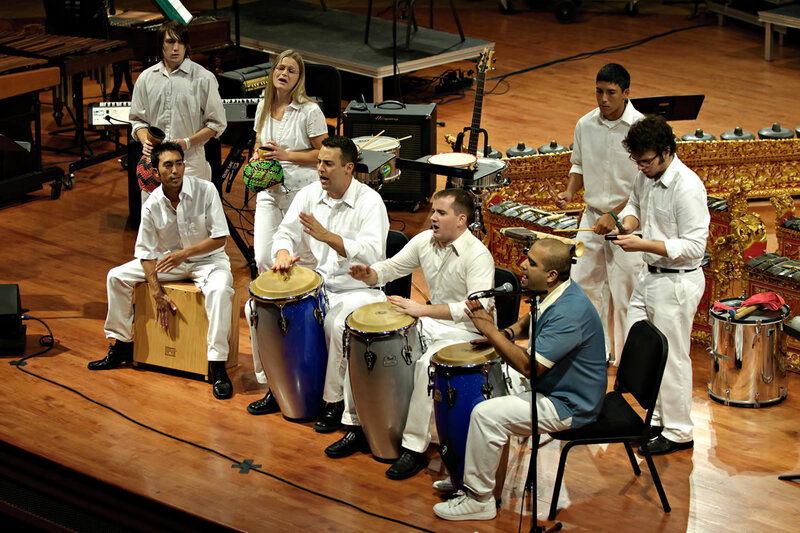 This ensemble introduces students to the techniques and rhythms of Afro-Cuban folkloric and popular music. This music, born of African slaves transplanted to Cuba in the 17th and 18th centuries, is rich in West African history and culture. The rumba family of folkloric styles includes yambu, rumba Columbia, and guaguanco and can be traced directly to the Yoruba people in Nigeria. These traditional styles, in addition to the popular cha-cha-cha, mambo, and the mozambique are performed by the ensemble.